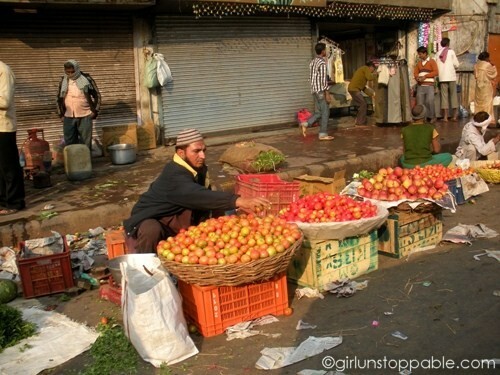 A vendor finishes setting up his apple stand. Behind him, the shops are just beginning to get ready for the day. 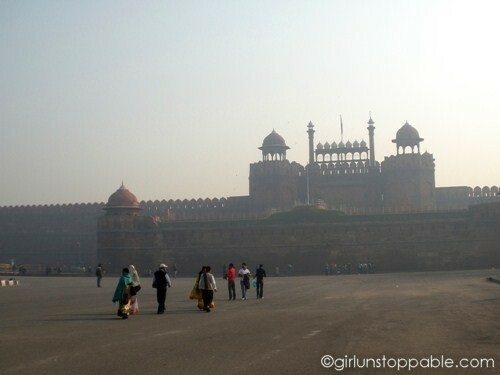 People walk up to the Red Fort which has yet to open for the day. The air is so hazy that from a distance, you can only see the outline of the fort. 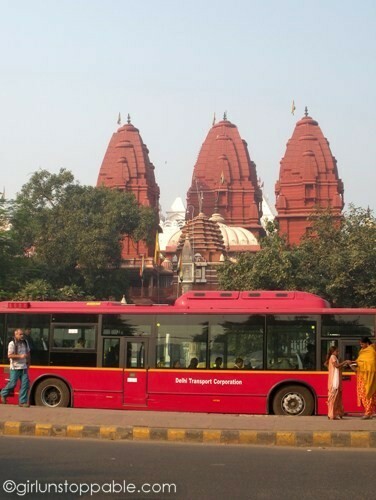 Across from the fort, a bus goes by Sri Digambar Jain Lal Mandir, a Jain temple. 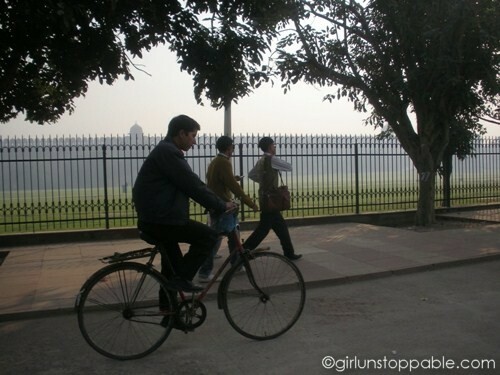 Pedestrians and a bicyclist outside the Red Fort. 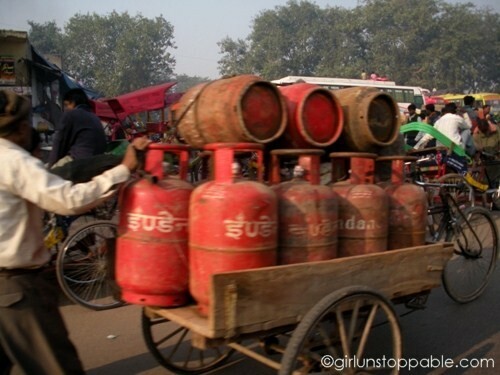 A man pushes a cart full of gas tanks. 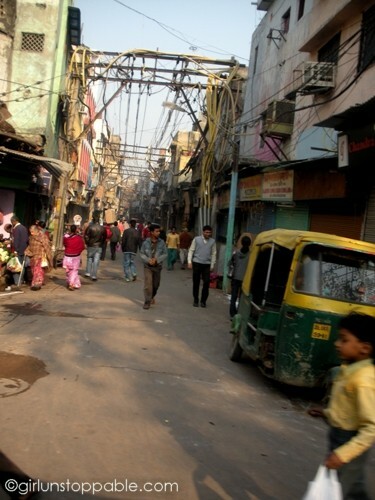 A street in Old Delhi. Check out the wires above. 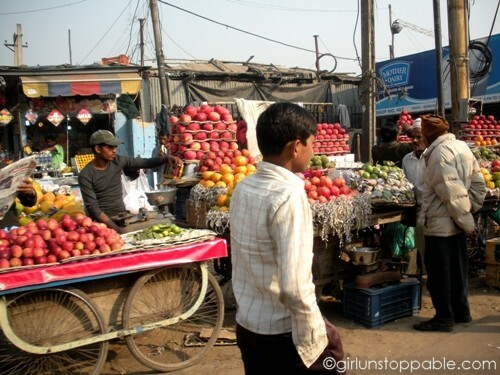 A mini market in Old Delhi. 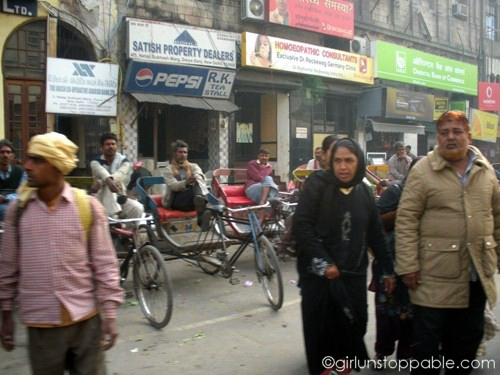 A woman walks through a male heavy area that seems to be a makeshift rickshaw depot. Rickshaw pedalers wait for business on the street in front of the Red Fort. 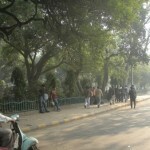 Pedestrians try to cross a busy street as rickshaw pedalers behind them wait for business. 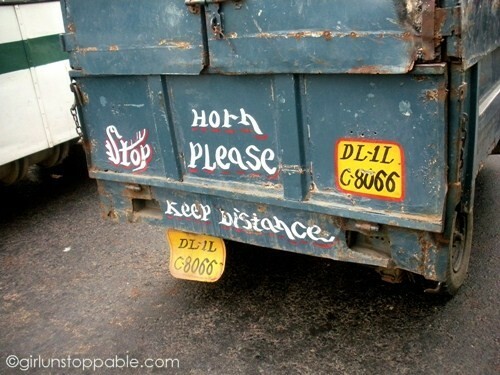 A precarious vehicle asks those who are behind it to keep their distance, blow their horns, and stop. I wasn’t able to capture this at the most opportune moment, but this motorcycle was carrying a family of four a la Phnom Penh. The woman sitting sidesaddle in the back is clutching a baby in her arms. I love photo essays like this—spontaneous and candid. Totally feels like the images you’d see looking out of a window… Well done! Thanks, Lauren. 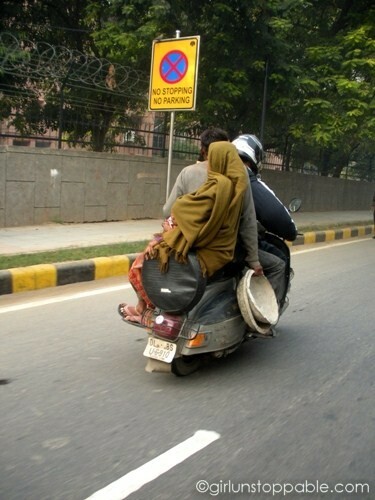 Most of these were indeed taken from the window of an auto-rickshaw. I love taking pictures while getting from A to B because it really gives you the most honest views of places… not what you’re looking for or what people want you to see, but what is – without people altering the moment by reacting to seeing you! Nice shots! I think my favourite is the one with all the wires above the street. 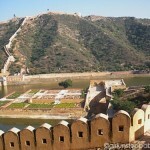 Hey, great blog, I am going to India for the first time and want to do as you’ve done. How much was the autorickshaw around Delhi for one day? Thanks, Lou! I really can’t remember how much the autorickshaw cost! It was back in early December. I remembered bargaining with the driver just a little. I thought it was a good way to go because I felt like I was experiencing/seeing a bit of the regular city life in between the stops! im spending two days in delhi before moving on to meet freinds elsewhere, but i have just been warned its not a good place to be alone in. what do you think, im pretty independent and thought i’d be ok just sightseeing by myself. 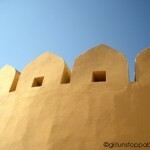 I was there as a solo female and I felt safe exploring Delhi alone during the day. I never went out by myself at night. 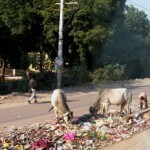 Nice images, definitely a realistic view of what it’s like to be in Delhi. But it’s funny, Delhi didn’t seem all that hectic to me after spending time in Kolkata and Varanasi! Thank you for sharing your experiences in India. 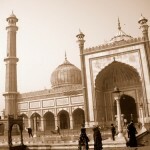 I am planning a volunteer trip to Delhi and was wondering what other African American women have experienced during their travels. Your blog has made me so much more excited, but also more aware of things that may not be so great. I appreciate that you don’t gloss things over, but give a real taste of what you have seen. Hi, Krystal – Thanks for reading and I’m glad you’ve found my posts useful. It was hard for me to put honest opinions about my India trip out there, but I think the travel world benefits from a range of experiences shared by a diverse group of people. I’m glad to know that this has not deterred you, but empowered you!